As we have mentioned several times here at Theme Park University, intellectual property-based attractions are king. This is why this particular story seems so strikingly different. Recently the Movie Animation Park Studios (or MAPS) theme park in Malaysia decided to cancel their agreement with Dreamworks Animation in a last minute decision. 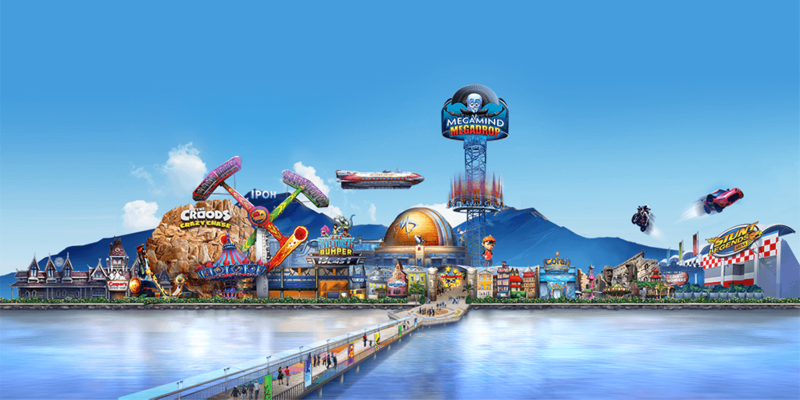 MAPS is the first fully animation-based theme park to open in Asia and already features intellectual properties such as The Smurfs and BoBoiBoy. In their newest land, it was supposed to feature Dreamworks Animation attractions. Films like “Megamind,” “The Croods” and “Peabody & Mr. Sherman” were to be featured on unique attractions. Yet two weeks before the new Dreamworks was set to open, MAPS pulled the plug. It seems that Dreamworks Animation and MAPS couldn’t come to an agreement on the new land. The CEO of the park stated that they found the agreement with Dreamworks restrictive in their marketing. Now that the two companies have parted ways, MAPS is scrambling to cover up any Dreamworks theming before the new section of the park opens Saturday, Aug. 25, 2018. MAPS has even gone as far as to hold a contest to name the new land with no intellectual property. The winner will receive cash and park tickets. What do you think? Is this a smart move? Do you think there were underlying problems like cost and/or quality standards that weren’t met? I’d love to hear your thoughts. This entry was posted in Theme Parks 101 and tagged dreamworks, MAPS, Movie Animation Park Studios, smurfs. Bookmark the permalink. Trackbacks are closed, but you can post a comment.